Hot water year-round is a luxury of modern plumbing that Minnesotans can really appreciate. Thanks to today’s innovative water heaters, buildings can have temperature-controlled water for bathing, washing dishes, laundry, or maybe just for warming hands on cold winter days. We service, repair, and maintain all brands and sizes of water heaters. If a new water heater is necessary, we install AO Smith or any other brand to fit your needs. With Rochester Plumbing & Heating, everything you need for your residential or commercial water heater is just a phone call away. We provide replacements, repairs, and installations in Rochester, Byron, Stewartville, and the surrounding communities with unparalleled customer service and a true passion for the work. Whether you need a new installation, water heater repairs, water heater replacement, or regular water heater maintenance in Rochester, MN, we are there for you. 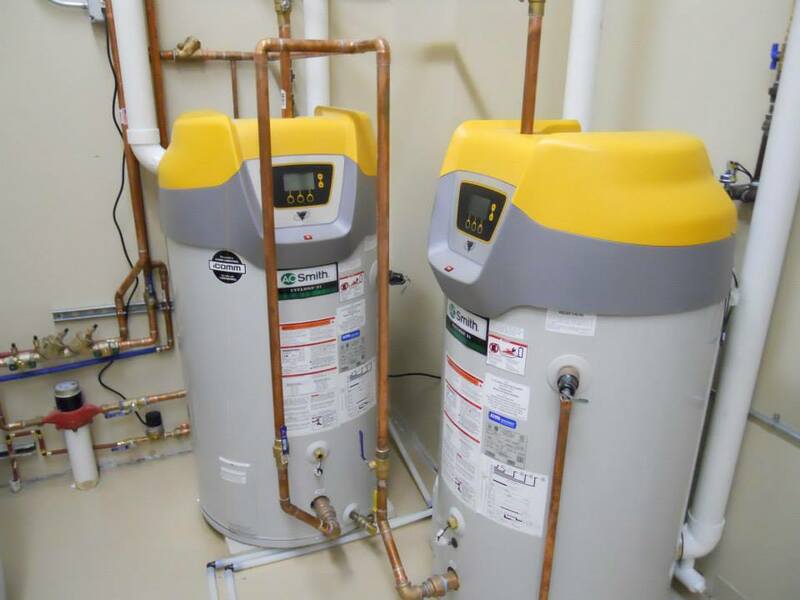 Click here to schedule your appointment today or contact us at (507) 289-1613 for a FREE estimate and to get started with your water heater project.